Oracle recently announced the VirtualBox 4.3.20, a maintenance release of VirtualBox 4.3 which improves stability and fixes regressions. For Linux, the new release fixed the Linux Kernel 3.18 compile issue and some full screen mode issues on X11 hosts. For the detailed changes, please see the official changelog page. Method 1: Grab the .deb installer. For Ubuntu 14.10, select download the package for Ubuntu 14.04. Once downloaded, select open the package via Ubuntu Software Center and click the install button. 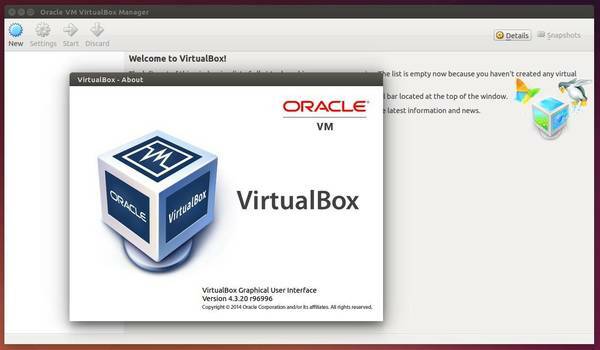 Oracle provides an official Virtualbox repository for Ubuntu Linux, so far Ubuntu 10.04, Ubuntu 12.04, Ubuntu 12.10, Ubuntu 13.04, Ubuntu 13.10, and Ubuntu 14.04 are supported. For Linux Mint, replace $(lsb_release -cs) in the code with the code name of the based Ubuntu release, such as trusty, precise, raring, etc. For future 4.3.x releases, just run regular system updates via Software Updater will bring you to the latest.